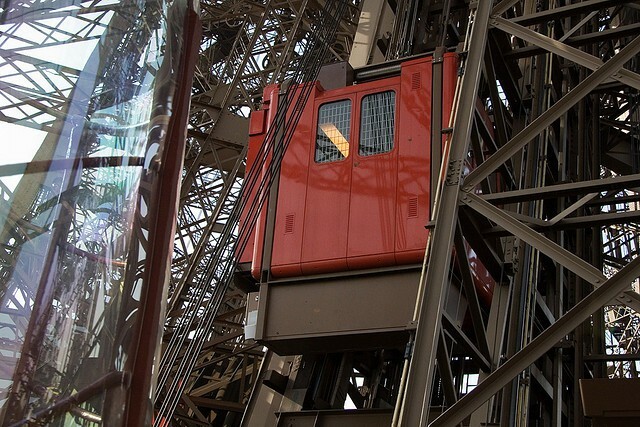 The Eiffel Tower's north elevator has been undergoing maintenance since March 20, 2012. On that fateful evening, the elevator actually tumbled almost 50 feet (15 M) in a free-fall. Fortunately, no one was injured as the lift was not occupied during the fall. Since that incident, the powers that be decided to close the lift at the Eiffel Tower and fix this mechanical nightmare. While it's always better to be safe, the maintenance work could not have come at less inopportune time as it is the busy summer travel season. Scores of tourists determined to take an elevator up to the top of the Eiffel Tower to experience one of the world's most iconic views were unable to purchase tickets in advance - as the few available had long been gobbled up by large tour aggregators many months ago - and had to simply wait in line. Sometimes for up to 3 hours! Fortunately, we have received word that the lift is back open and operational! Just in time for travelers heading to Paris for end of the summer summer and the beautiful Fall. If you'd like to purchase your tickets ahead of time, you may do so by clicking here. Remember, we explore the Eiffel Tower on our Private and Paris Essentials Tours. Contact us to learn more or simply click here to reserve your spot now. Tip: Save time and money (and get in a workout) by simply walking up the first two levels of stairs at the Eiffel Tower!